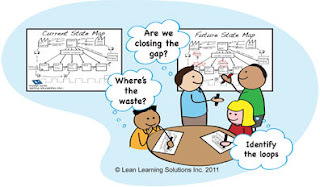 Lean Thinking: Back to Basics - What is Value? Back to Basics - What is Value? Value is Lean’s guiding star, Mother Lode and raison d’etre. A nice manufacturing definition, but does it apply in, say, a bank or hospital? All of these are correct, in their way. Value is like a gemstone – hold it up to the light and different colors emerge. Most importantly, the team must connect closely with internal and external customers and understand value from their point of view. This is the beauty of connectivity and commerce. Work is activity that creates value. Our work enables our customer, who is thereby able to create more value. The splendid work of Steve Jobs, Bill Gates and their teams compound my productivity (such as it is). Work ennobles and enriches both the worker and the recipient, which is why we revere it so. (Of course, there are extreme philosophies that demean work, and believe value is fixed and cannot be created. For these, the only question for such is how to divide the economic pie. 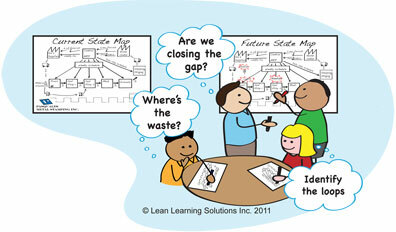 In summary, value is Lean’s guiding star. Get close to your customer and ask them what they need from you.